Recruiters in the staffing and consulting industries are often viewed as transactional, process driven and impersonal. Many prospective candidates would prefer speaking with hiring managers directly rather than with recruiters because of the limited associations they feel we have towards them and the end client. Questions remain as to what recruiters can do to improve this relationship. However, if we shift the question from “What can recruiters do?” to “Who can recruiters be?” we can gain much deeper insight into ways that recruiting can be viewed as an effective partnership for both recruiters and prospective candidates. First, we must understand that the goal of a recruiter needs to be building transparency and trust by delivering unique and personalized value. It is imperative to first understand what the ideal situation of the candidate is to ensure their goals align to the goals of the client. This delicate process involves effectively communicating client expectations and developing a clear understanding of what the prospective candidate is looking for. What knowledge do you have on this company? What is your ideal working environment both technically and culturally? What factors are important to you when considering different opportunities? When do you expect to start working? Why? How else can I help clarify this role for you? What hesitations do you have that we need to address before moving forward? What is the best means for us staying in touch? If this specific role doesn’t work out, what other opportunities would you like me to keep on your radar? These questions do more than check off qualification boxes, they build trust. Candidates who see recruiters as a trusted resource will genuinely consider the relationship as a valuable partnership. By building trust, recruiters open the locked door of honesty, and are able relay information in a way that candidates both appreciate and remain interested in working together. Are you looking for your next employment opportunity? Drop us a line. 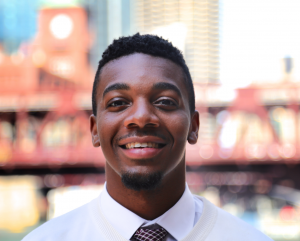 Corey Collins is a passionate member of Strive’s Recruiting Team in Chicago and is actively involved within the ever-growing tech community. With his diverse background ranging from enterprise recruiting, small start-ups and outside sales, Corey possesses an in-depth understanding of technical roles that is matched with his personable, friendly and transparent style, giving his candidates a unique and authentic experience. He is also a Certified Life Coach through the International Coaching Federation and prides himself in his ability to listen closely and ask powerful, open-ended questions to fully understand what his candidates are looking for in the marketplace. Learn more about Corey and his experience on his LinkedIn.